Sustainable debt products are shifting from the market fringes to become a core component of funding strategies, according the results of a poll conducted by ANZ and FinanceAsia. 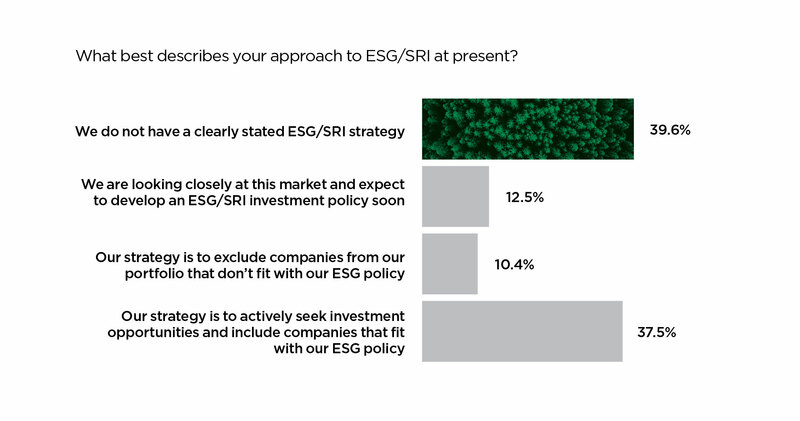 The poll took place in June and surveyed the views of investors and issuers on green financing trends in Australia and the Asia-Pacific. Over 90 participants from 12 different countries provided information on appetite levels, sector and currency preferences, and access to analysis and reporting. The results forecast a significant surge in issuance in the next two years. Pressure is also being applied by regulators. In May, the European Commission released details of its sustainable finance action plan. It proposed new rules requiring asset managers and other institutional investors who claim to have sustainability goals to show how their investments are aligned with their objectives. In fact, new research by the Climate Bonds Initiative shows green bonds are more heavily oversubscribed than vanilla equivalents, tighten more during the bookbuilding process and continue to attract investors that are not green mandated. The not-for-profit organisation, which oversees the Climate Bonds Standard, sampled green bonds over a two-year period and found new issue premiums are not a given for buyers of green bonds. More than 55% of transactions in the sample either priced on the curve or inside it. The research – published at the end of May – flags the potential for green bonds to bifurcate from their vanilla counterparts in coming years, and raises the spectre that issuers who can’t show sustainability credentials may one day find it difficult to access credit, resulting in higher borrowing costs. Globally, issuance in the sustainable capital markets was $34 billion in the first three months of 2018, an increase of $2.3 billion on the same quarter last year, according to figures compiled by BNP Paribas. Volumes are still concentrated in Europe – accounting for 60% of all flow in the first quarter – but the Asia-Pacific market is growing fast. ANZ analysis puts green bond volumes at $8 billion in the first six months of 2018 compared to $3 billion in the same period last year. “We are still in the early stages of raising awareness in the issuer community in Asia, but interest is strong and momentum is building,” said Jimmy Choi, head of debt capital markets, global at ANZ in Hong Kong. He said supply will be boosted as regulators introduce legislation and schemes to support transactions such as tax incentives and rebates. In recent months Hong Kong’s quality assurance agency launched a green finance certification scheme and the Tokyo Stock Exchange established a platform for green and social bond issuers to post reports and reviews on their securities. This follows China’s move in December 2017 to publish guidelines for green bond verifiers and introduce a licencing scheme to authenticate the credentials and monitor the methods used by verifiers. The most active issuers so far have been banks and sovereigns. In February, the Republic of Indonesia broke new ground when it raised $1.25 billion from the first Asian sovereign green bond. The five-year green sukuk was issued soon after new regulations around environmental-based securities were tabled by the country’s financial services authority, the OJK. Choi said the ANZ/FinanceAsia poll shows an increasing interest in sustainable bonds from Asian corporates. “More than 72% of the issuers who responded were from corporations; an illustration of the level of attention they are paying to the product and their growing recognition of the pricing benefits,” he said. Borrowers pointed to some hurdles to issuing in sustainable format such as the cost of set up and the time taken to implement a new borrowing structure. Fifty-six percent of participants named these as hindrances. ANZ believes increased supply of ESG bonds and critical mass will drive demand from investors as asset owners realise they need to take a position in the market. 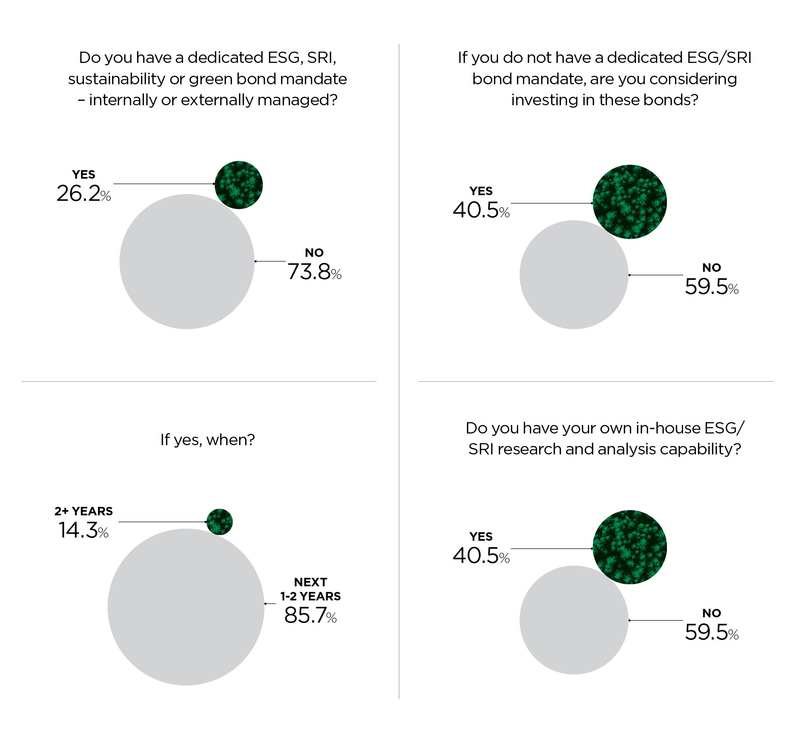 In the poll, 26% of investors said they already had a dedicated ESG bond mandate and another 40% said they planned to implement one in the next two years. They also indicated their interest in social bonds. 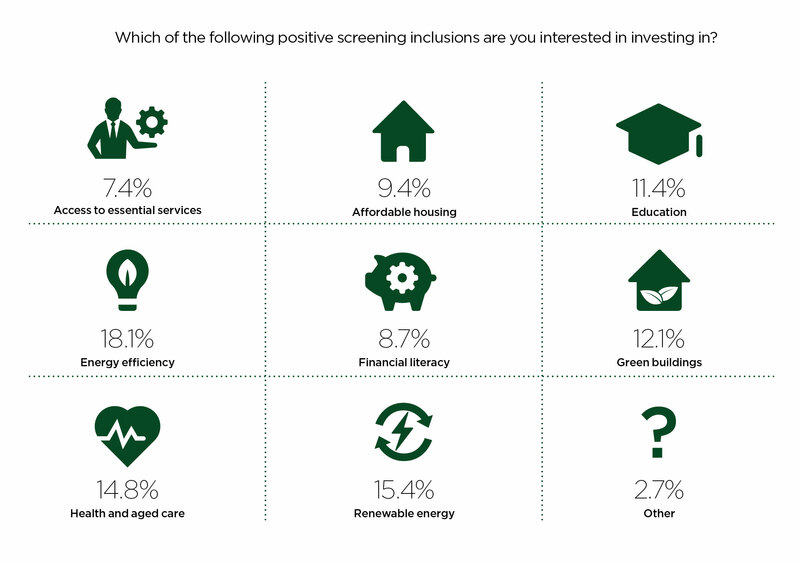 She is encouraged by the 15% of investors who listed health and aged care as a target sector. Investors also expressed interest in education assets (11%) and affordable housing (9%). “These are essential services in the community and match the focus of government expenditure across the region. They are ideal assets for institutional investors to own,” said Tapley.